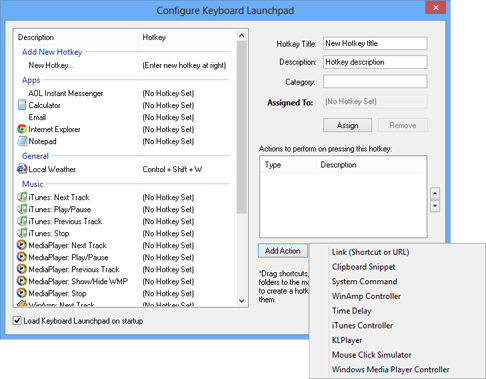 Quickly and Easily Assign Hotkeys To Launch Programs and More! Do you wish there was an easier way to perform those tasks you repeat over and over? Keyboard Launchpad™ allows you to create keyboard short-cuts for your programs, saved clipboards, URLs, system commands, and more. No matter what program you're in, or what you're doing, you can always access the hotkeys of Keyboard Launchpad. 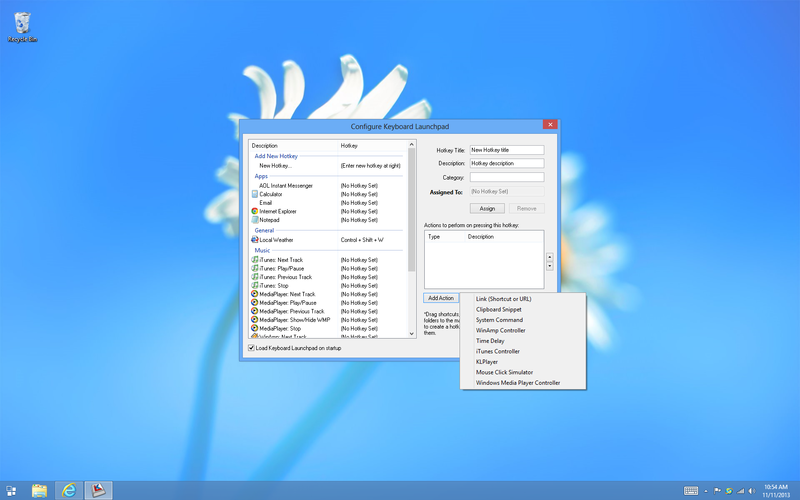 Bring up a hidden admin program for use in kiosks and corporate desktops. Copy images or text into a clipboard snippet and assign it to a hotkey. From then on, that saved clipboard will be pasted when the hotkey is used. 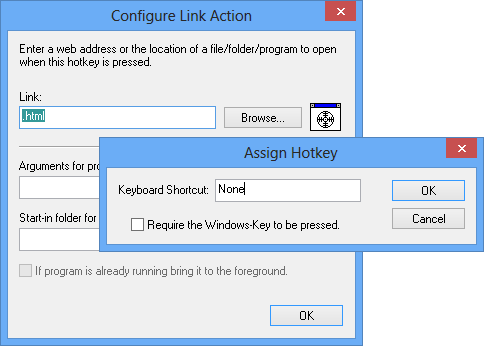 Make multi-tasking easy by chaining multiple events to a single hotkey. Whether you need to send "canned" technical support responses or add hot key support for specialized programs, our open plug-in format lets you create it. Quickly navigate through admin pages and other commonly visited websites, since specific URLs can be assigned to a hotkey. Store passwords, frequent responses and more. Please enter your email address to be sent a download link for Keyboard Launchpad.